Our contractors are duly licensed to install plumbing and sanitary systems. During the installation process, they will comply with all valid regulations and carry out the installation as indicated in the project specifications designed by the responsible engineer or technician. Our staff and contractors will at all times comply with relevant regulations on health and safety. In all cases, licensed plumbing and sanitary specialists will be responsible for carrying out the installations. Finally, to meet all legal requirements, every installation will be duly certified and documented accordingly by means of a technical report. Upon request, we also take care of all legalisation procedures that need to be carried out through the Ministry of Industry, as well as any contracts with respective suppliers. 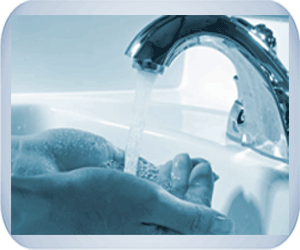 Plumbing and sanitation for buildings and dwellings. Plumbing and sanitation for single family homes. Plumbing and sanitation for industrial premises. Plumbing and sanitation for businesses. Plumbing and sanitation for offices. Improvement and modernisation of plumbing and sanitary systems, system failures and maintenance. Please don't hesitate to contact our engineering department in case you have any questions regarding plumbing and sanitary systems.